I love Christmas. It’s my favourite time of year. So, it seemed only fitting that my advent calendar should bring together a few more of my most fave things; wall charts, chalkboards, typography and bakers twine! The countdown to Christmas day isn’t something I’ve given much thought to since childhood, though now with little kids of my own, it’s once again a time to celebrate. My vision is for this advent ritual to become a special family tradition which builds fond future memories (for myself, hubby and the kids). 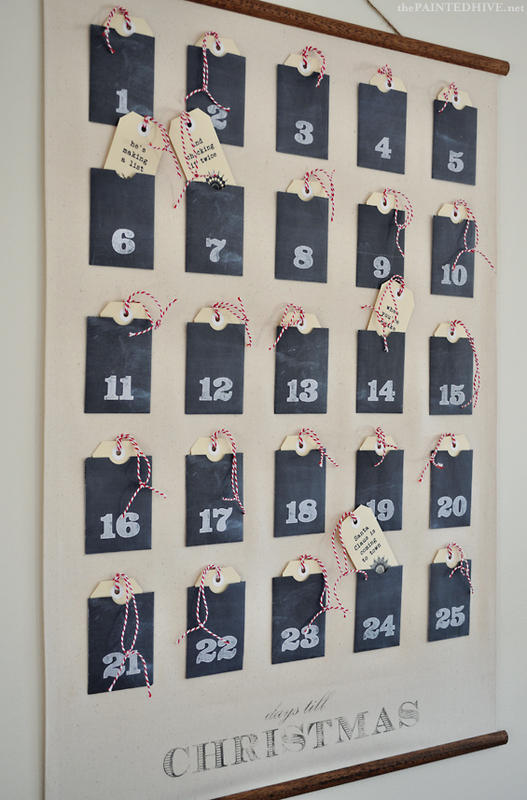 This calendar was part-inspired by the old-fashioned borrowing system used at my primary school library (where there was a wall of modified envelopes filled with laminated borrowing cards) and features faux chalkboard date pockets which each hold a cute little shipping tag ready to be hung on the tree. 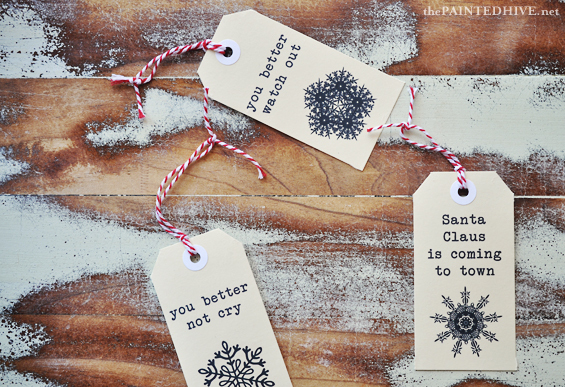 The tags are adorned with a decorative snowflake and lyrics from ‘Santa Claus is Coming to Town’. I really love the look of this calendar – it’s big, eye-catching, vintage-esque and gives just a subtle nod to the festive season – and am already kinda lamenting having to eventually take it down :( Though, thanks to its re-usable nature, I’m also looking forward to hanging it again next year! 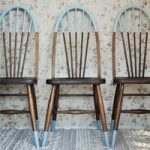 This project is really easy, super affordable and completely rewarding (oh, and kinda awesome too :-). It’s also a project the kids can help with, and…there’s still plenty of time to have it complete before the start of December! 1 Fabric. I used lined (backed) seeded calico (from Spotlight). Of course you could use almost anything. I chose the calico because it had a lovely organic look and a nice medium weight (due to the backing). Plus, at only $5 a meter (on sale) it was also super affordable. 2 Hemming tape. Obviously, this is to hem the fabric. You could choose to sew the hems, use fabric grade double sided tape or fabric glue. 3 Timber trim. I used 18mm (3/4″) half dowel. 4 Timber stain. I used water-based interior stain in Walnut. 6 Thumb tacks or upholstery pins. 7 Hanging string. I used twine. 8 Paper. I used good quality photo paper though you could simply use standard copier paper. Light cardstock would also be good. 9 Shipping tags. 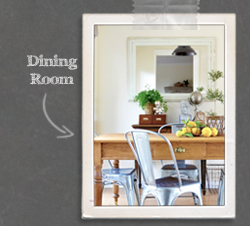 I used 108mm x 54mm (4 1/4″ x 2 1/8″) tags (from Officeworks). I wanted the simplicity of traditional buff though you can find them in lots of pretty colours. Red would be nice. 10 Bakers twine. I used traditional red and white (from eBay) though you can buy it in lots of colours. 11 Acetone. 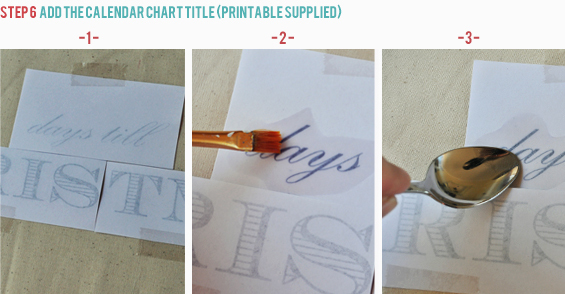 For transferring the chart title onto the fabric. There are quite a few different mediums you can use for fabric transfers (Citrasolv and Artist Gel Medium being two popular ones). I found the acetone worked really well for me. Republication, reproduction or redistribution in any form is forbidden. STEP 1 Cut and hem your fabric. 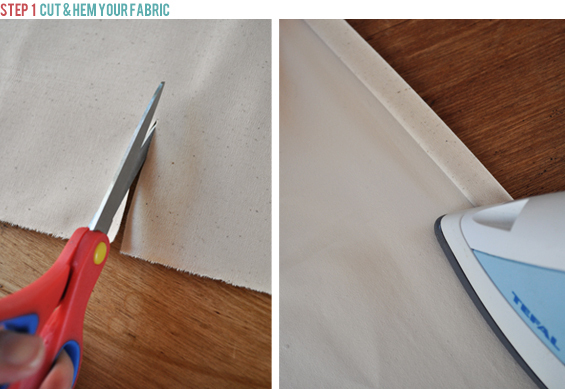 Cut your fabric into a rectangle measuring approximately 950mm x 650mm (1 yard x 25″) then hem all four sides. 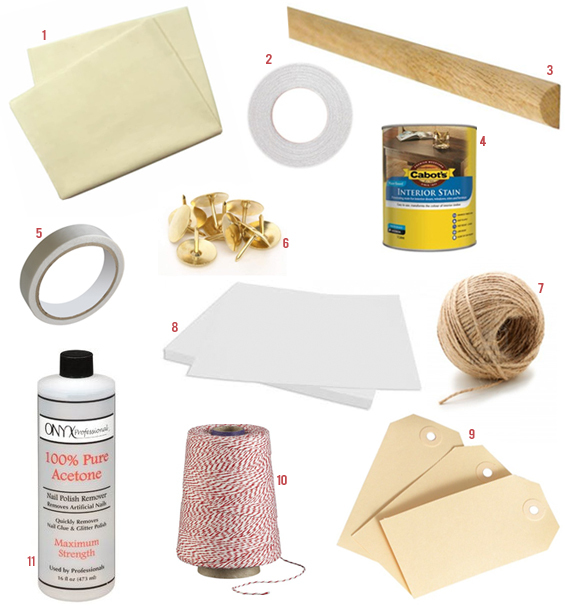 As mentioned in the supplies section, I used iron bond hemming tape to fuse my hems though you could sew them, or adhere them with fabric grade double sided tape or fabric glue. 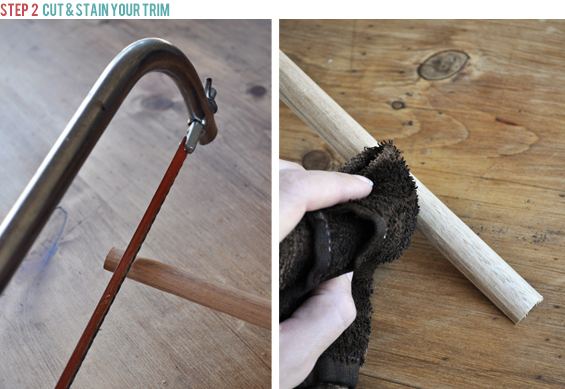 STEP 2 Cut and stain your trim. Cut your timber trim so it overhangs the fabric by around 15mm (1/2″) at each end. If necessary, lightly sand it then tint with timber stain. STEP 3 Attach your trim and create the hanging string. Run strips of double sided tape along the rear of your trim, lay the pieces in place on your fabric then press down firmly. Flip the fabric over and push in five thumb tacks along each length of trim to secure them in position. 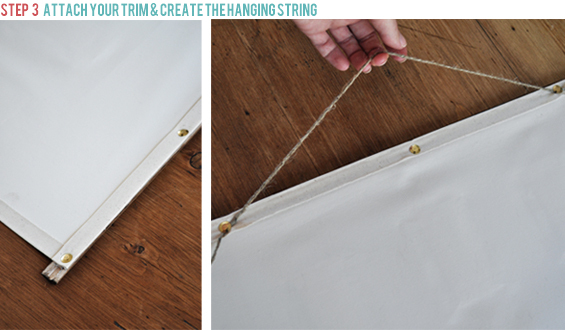 At one end, create the hanging string by winding some twine around two thumb tack stems prior to pushing them in completely. Depending on the density of your timber trim and/or the strength of your fingers, you may need to tap the tacks in with a hammer (or, in my case, the flat end of a logistically convenient meat mallet!). 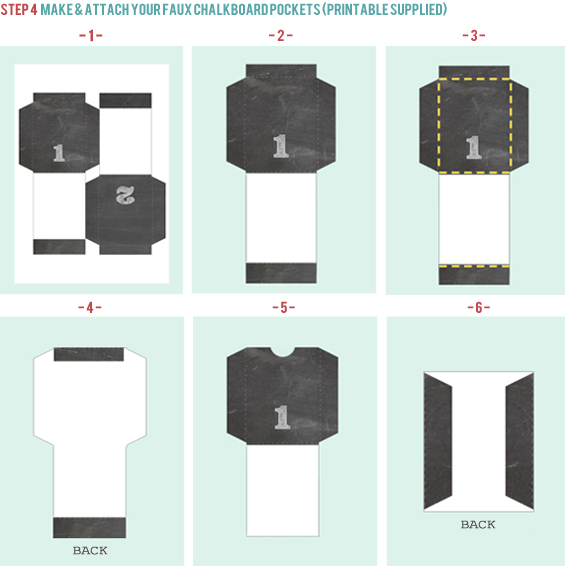 STEP 4 Make and attach your faux chalkboard pockets (printable supplied). 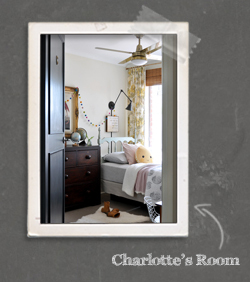 1 Print out page one of the ‘Chalkboard Tag Pockets‘ printable. 2 Cut around the outline for the number ‘1’ pocket. 3 Fold along the dotted lines. Take care to fold a smidgen inside/outside (as applicable) the lines so they aren’t visible on the finished pocket. 4 Use double sided tape to secure the top and bottom ends first (these ends are both doubled-over to hide any white paper and reinforce the pocket opening). 5 Punch (or cut) a semi-circle in the top of the pocket front. This isn’t essential, I just think it looks nice. 6 Fold up the back and use double sided tape to secure the rear flaps. Once all 25 pockets are assembled, lay them out in position on your fabric then attach them using double sided tape. I just eyed this process though you could measure and mark. NOTE: Double sided tape works fantastically for this project. It holds the pockets perfectly in place though can be easily peeled off the fabric if required. This is great if you need to reposition a pocket. It’s also handy if you want to remove the pockets for storage purposes – simply peel them off and stack them with a square of grease proof baking paper in between each layer. And, if in a few years time the pockets need updating, you can also easily and super cheaply create a whole new batch! 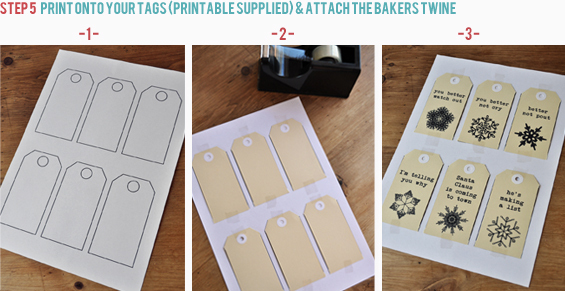 STEP 5 Print onto your tags (printable supplied) and attach the bakers twine. 1 Print out a copy of the shipping tag template (page one of the ‘Shipping Tag Template and Graphics‘ printable). Remember, this template uses 108mm x 54mm (4 1/4″ x 2 1/8″) tags. 2 Place a tag over each tag outline and secure temporarily in place with low tack tape. If your tape is too sticky it could tear the tags when you remove it so if necessary dull the tack by pressing on a cloth. 3 Insert the sheet complete with tags into your printer as per usual and print page two (remember, page one is the template) of the ‘Shipping Tag Template and Graphics‘ printable onto the tags. 4 Repeat with the remaining four pages until you have printed onto all 25 tags. When printing the 25th tag you need only tape one tag over the top center outline of the template. 5 Carefully peel off the tape. 6 Thread each tag with a bakers twine loop then insert into the date pockets. 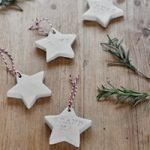 I chose to adorn my tags with decorative snowflakes and the lyrics from ‘Santa Claus is Coming to Town’ for something whimsical and light-hearted. STEP 6 Add the calendar chart title (printable supplied). 1 Print out the ‘Calendar Chart Title‘ using a laser printer or have it copied using a laser photocopier (inkjet will not work for this process) then cut out each line of text (it has been fragmented because it is larger than one standard letter sized sheet of paper) and reassemble it in position right side down on your chart. Secure temporarily in place with tape. 2 Working in small sections, brush on some acetone. 3 Whilst still damp use a hard smooth implement (such as a spoon) to burnish the text, transferring it from the paper to the fabric. Lift the corner of the paper from time to time to check the transference progress. 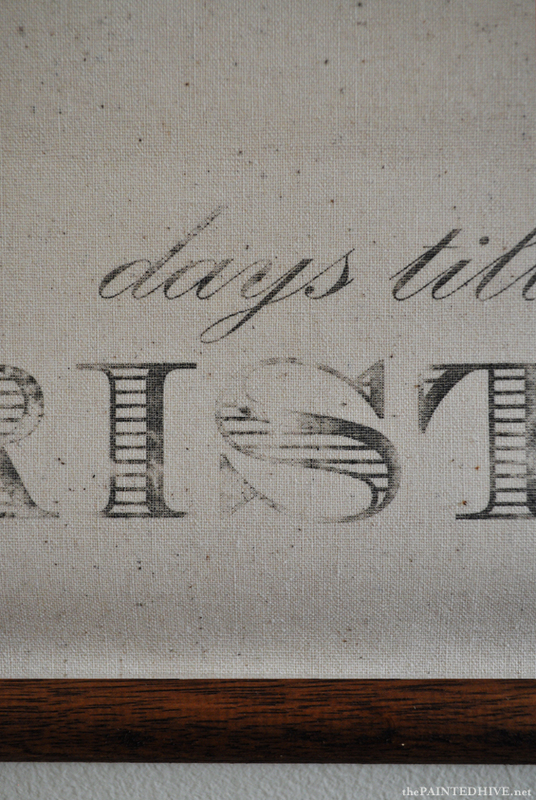 This transfer method creates faded, distressed, aged looking graphics, which is just what I wanted for this project. It also leaves no visible residue so post washing isn’t required. STEP 7 Hang your chart and let the countdown begin! 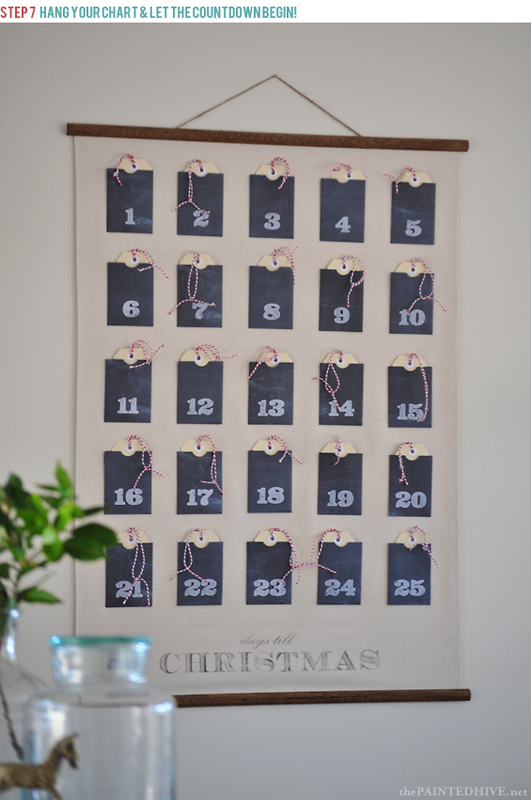 On each day of December leading up to Christmas take a tag from the corresponding date pocket and hang it on your tree. I couldn’t resist sneaking in a few random sweets too and I’m also going to include a simple activity every third day (such as ‘write a letter to Santa’ or ‘choose a toy to donate’). Of course you could fill the pockets with whatever you like! 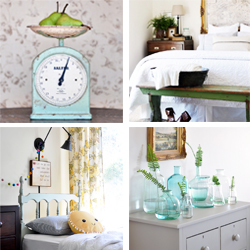 There are so many ways you can tweak this project to really make it your own. And whilst I know super fast crafty projects are all the rage right now, occasionally it’s nice to take a little more time to create something that’s just that bit special (not that this particular project is overly labor intensive). Oh, and for all my lovely Facebook friends…this project is what I had planned for the shipping tags I posted about here. 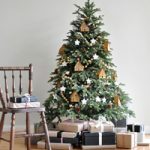 I know it’s unusual for a ‘home’ blogger, though as I’ve confessed before, seasonal decorating isn’t a huge priority to me (I’m having enough trouble finding time for regular decorating!). This idea was just something I couldn’t ignore and I truly hope it helps inspire! This project was originally developed by myself for IGA. My First (decent) Christmas Tree! 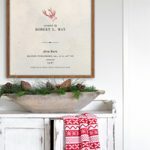 Free Printable Large-Scale Vintage Christmas Signs! Oh man. 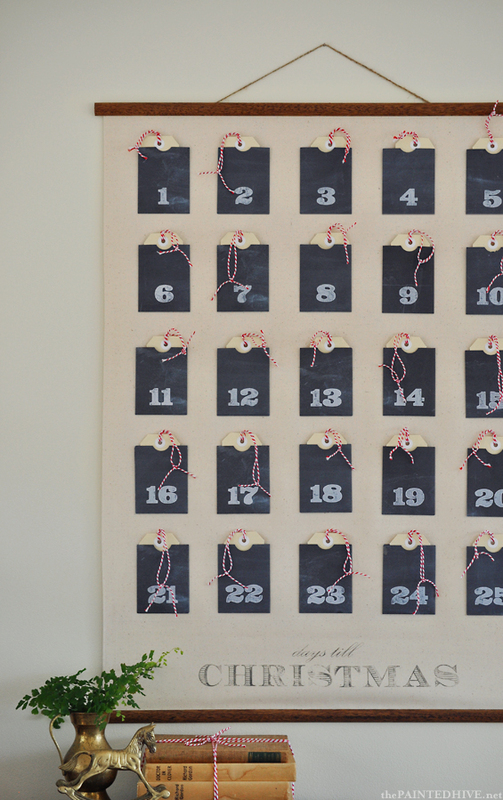 I’ve just spent the last few weeks researching the best advent calendar to make. I finally thought I’d made my decision though then you come along with this! It is waaaaaay cooler than any of the ideas I had. Oh well, I guess the supplies I already bought can go into the craft box for something else! Totally making your one instead! Thanks so much for the inspiration and freebies. Wow. Totally LOVE this. One of the best projects I’ve seen this season. You have done it again Kristine. This is so cool. I love that it is reusable and thank you for the printables! I want to make one as a gift for my mom. I can’t believe you made this! It is so pretty and perfect! Looks like something you’d find in a boutique. You did a beautiful job! It was a little time-consuming (creating the pockets – I needed my kids to be just a bit older so I could enlist them on cutting duties!) though it was actually really, really easy. 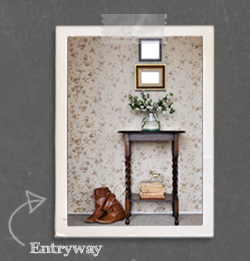 I just hope my tutorial and free printables encourage someone else to make one. This looks amazing. I love all your DIY posts. I always wanted to create a hanging fabric art work similar to this! i have the perfect place that needs a small cover up. 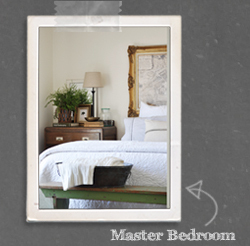 Where did you find the half dowels? It seems impossible for me to find any search of dowels split into halves. Happy to help you, though where are you based? Australia or US? Just did a quick IP address search and I think you’re in the US. Thank you for your reply. I am based in the US, in NYC. I actually completed the project yesterday. I found a random dowel at home and It worked perfectly but it was not a half dowel which I think would have made attaching the fabric much easier. I would still love to know where i can find the half dowels for future projects. Thank you! Here is the half round at Home Depot and Lowes. If you still have trouble finding the half round, D moulding (which is similar to half round though has a flat, rounded top) is good too. 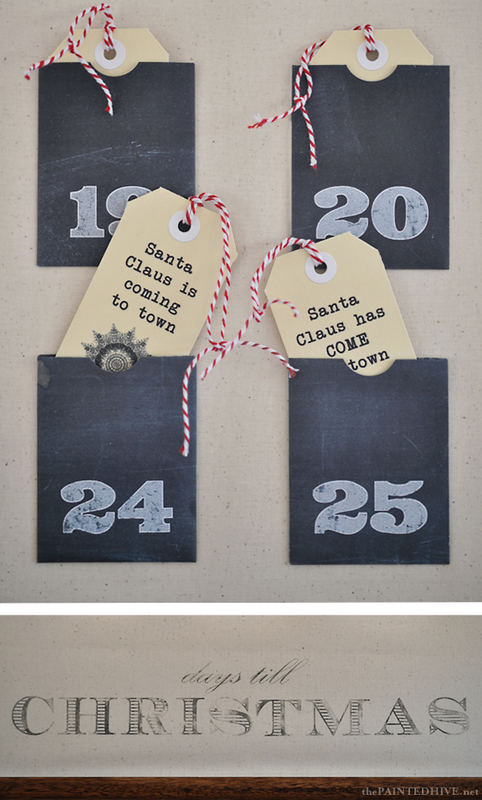 Great advent calendar and tutorial! This is just the cutest thing I’ve ever seen! Perfect graphic too! So this is what you had in mind for the tags! Clever idea. It looks awesome. It looks absolutely fabulous! I love it! Yeh!! I’ve been trying to figure out how to print directly onto luggage tags as I use them to tag my items at the markets. You have solved my problem! I’d been printing onto stickers and placing them n the luggage tags which is okay but not exactly what I wanted. Thanks sooooo much. Love the advent calendar too. Like that it’s filled with Christmas quotes rather than lollies. I was so surprised that it actually worked (not as surprised as my husband was mind you!). I was waiting for a jam at any moment though it never happened. Who woulda thought? This is so pretty! I suggest you make an all-year one like it… You could stencil a beehive instead of the Christmas theme & make 29, 30, & 31 detachable so you can change for each month. then you could leave it up year around :-) It’s so lovely I’d hate to take it down! I actually did consider making something to leave up year round. I’ll have to have a think about the functionality aspect and see what I can come up with. The great thing about the pockets is they are already detachable (the double sided tape peels right off the fabric). Hi! Would you mind to share the name of the font your used in the word “Christmas”? I made this calendar this weekend and love it! thank you for sharing your ideas. Sure Joanna. It is Ecuyer Dax. You can download it for free here: http://www.dafont.com/ecuyer-dax.font. It is a pretty awesome free font. So glad to hear you made the calendar! Sure you can fit it in Kathy…just wrangle the kids in :-) If mine were a bit older I definitely would have had them on cut and stick duty! This is a REALLY cool calendar! I’m so impressed!! 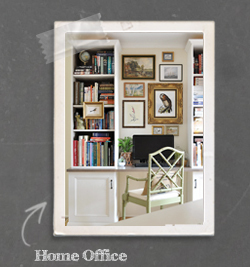 This is so well designed and is absolutely loveable! 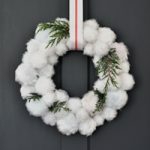 I wish I cold make one myself, but would love use a Norwegian christmassong, since I live in Norway…..
By the way, I love your DIY ideas!!! This is absolutely lovely! 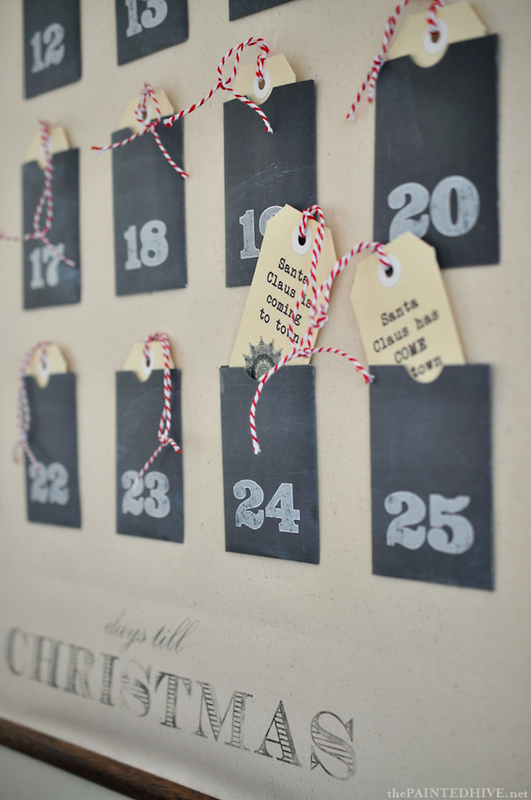 I’ve been searching for inspiration for an advent calendar and this is just perfect. Thank you for sharing, and I hope you don’t mind that I shared this on my blog (linked it to you of course). Totally impressed by superb quality of this tutorial – everything about it from the envelope printables to construction of the calendar is really well explained and photographed. (Plus, the project itself is so stinkin cute!!!) Thanks for sharing! Thanks so much! I put a bit of work and time into my posts so it’s really lovely to hear this tutorial is appreciated. These are super cute! I made a less detailed version of this last year for the kids, but I would make this one this year! Great post! Hi there! This is spectacular! Love your work! May I ask how you turned the text around for the title? 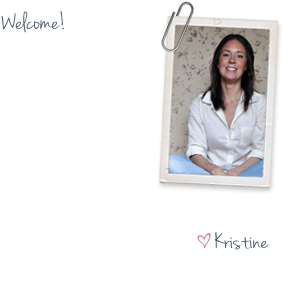 I’ve just discovered your site – I love your creations! I made your Advent Calendar this morning (my kids were very keen to get involved in the folding and sticking). I did a quick version (seeing as it needs to start tomorrow), I have stuck the envelopes onto a piece of red wrapping paper from Ikea, it was surprisingly effective… I’d still love to make a fabric version for next year. I just wanted to thank you for the printables, they are so well made, which made it so easy to cut out! I look forward to checking out your future creations. Thanks so much for letting me know Nicola. Love the wrapping paper short-cut idea. 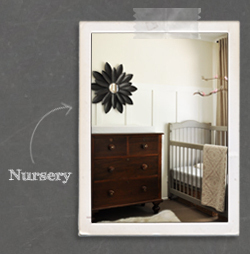 I wish my kids were just a little older – I would have loved some help on the cutting and sticking! It’s great that you made it as a family. I made this over the weekend. I am based in the US. Amazing work you’ve done here, and your instructions are amazing ! 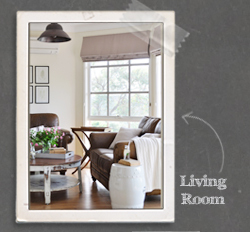 I customized the tags as you mentioned – love love love your style ! Thanks so much for letting me know Lindsey :-) I’m just so pleased to hear that people are actually using my tutorial to make their own calendars – awesome! Love this project! I’m with you on previously-uninterested-in-holiday-decor and games, but with a little one on the way myself, I am starting to realize that the holidays should be full of fun and magic! 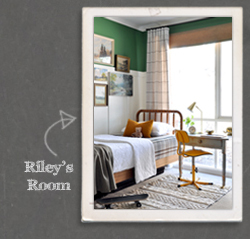 This looks totally easy AND design-worthy! Congrats on the baby bump Julia! Thanks so much for leaving a comment (love your red painted oven knobs BTW – my husband is gonna wonder why I’ve started staring at our oven in a strange, contemplative way!). Such a great idea! I only wish I had seen this earlier but there is always next year. Thanks for sharing! This is such a cool project! Thanks for the awesome idea and those printables. I’m a little late to the jump to make it this year but its bookmarked into my DIY projects for next Christmas. I just love this! I am making one right now. What size of punch did you use to cut out the half circles in your number pockets? It was a 1″ punch. Have fun! Hi there, I’ve been looking casually for the last couple years for a nice advent calendar and yours is the nicest I’ve seen. I’m busy and not crafty but would be happy to pay for one. Is this something you’d consider making to sell? I’m really sorry though making one for on-sale is not something I’m interested in at the moment. Perhaps you could enlist the assistance of a crafty friend? Of all I’ve seen this is by far my favorite. Might take me a while to make it but what a beautiful thing to pass down for generations to come. Sorry, do you mean a digital calendar? If so, then no, however I have provided the pockets and tags as free printables. Great tutorial. The procedure is really understandable. I will soon make one like this since it’s almost Christmas now. :) Thanks for posting like this. I am making an advent calendar that needs 26 days. Is there any way you could do one more day and send it to me? Thank you so much for such a fun idea! Only seeing this now! So beautiful! How do you add the activities, do you add a separate card? Thanks. I usually just pop a nice hand-written note in.